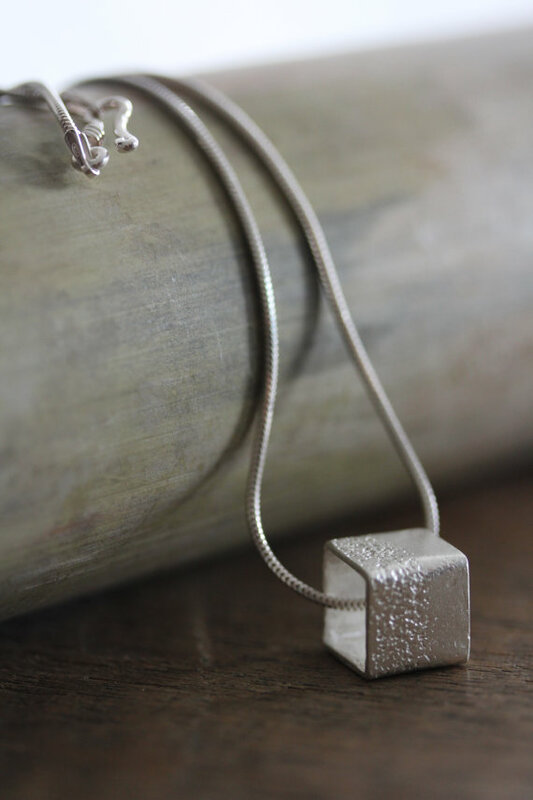 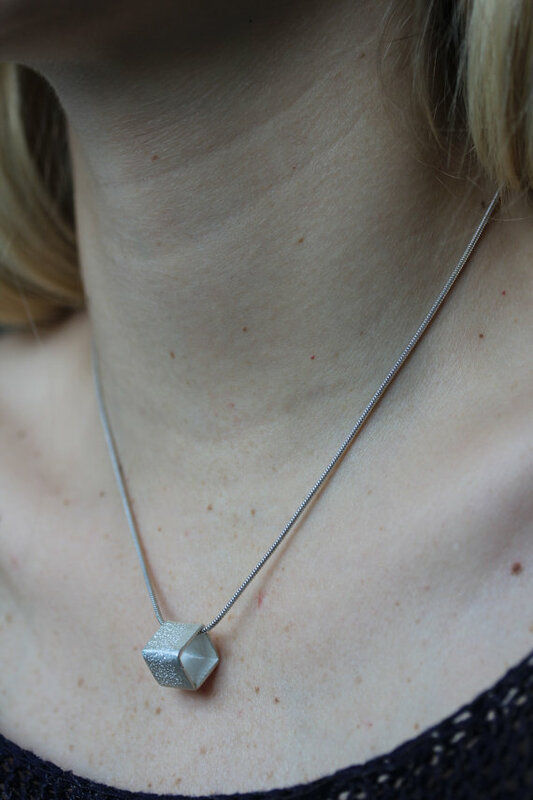 The unique sterling silver necklaces with a simple cube pendant were made of a 1mm thick silver strip, that was passed into a rolling mill together with sandpaper that left a beautifully embossed texture on the surface of silver. 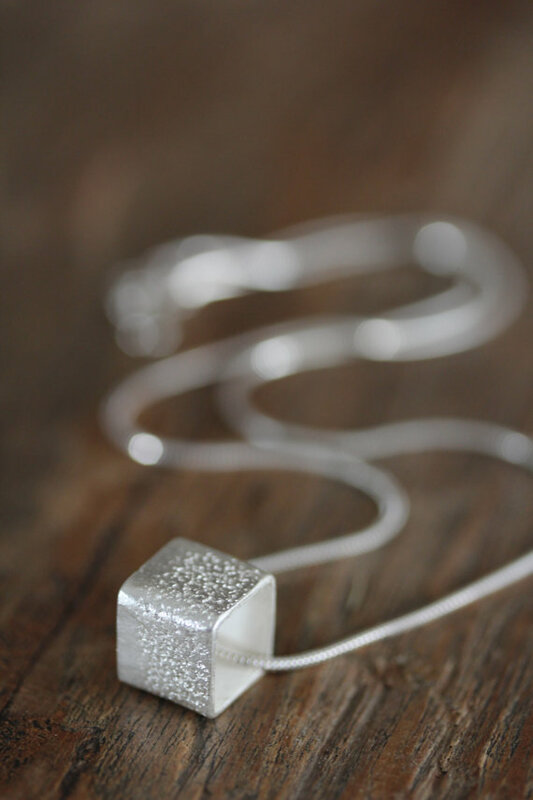 The cube was made of 95% silver, which is usually used by the Thai Karen silversmiths. 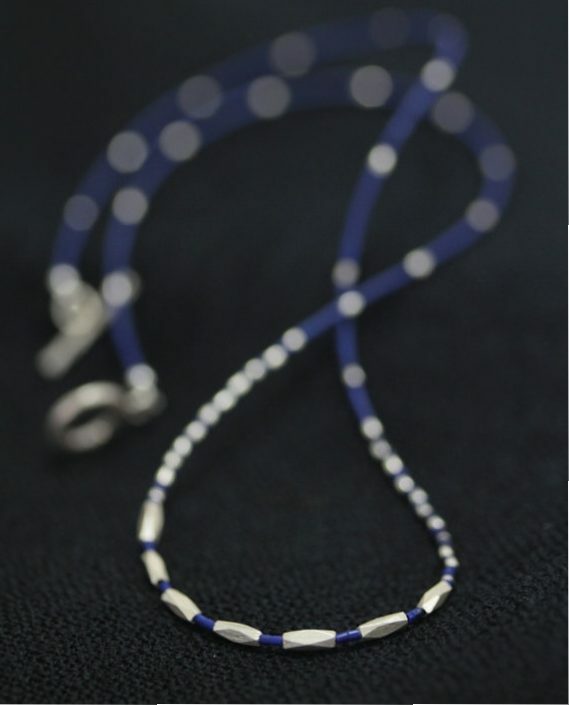 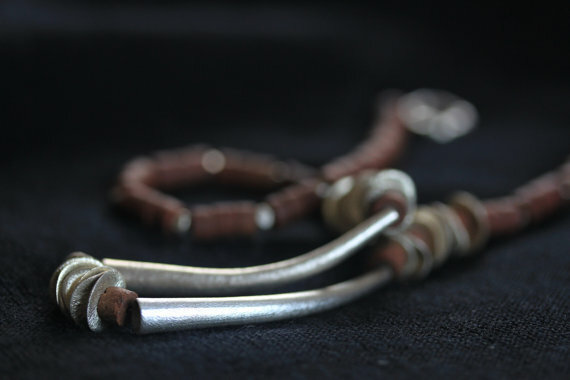 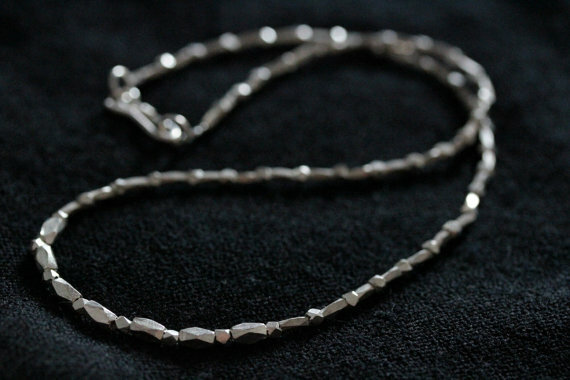 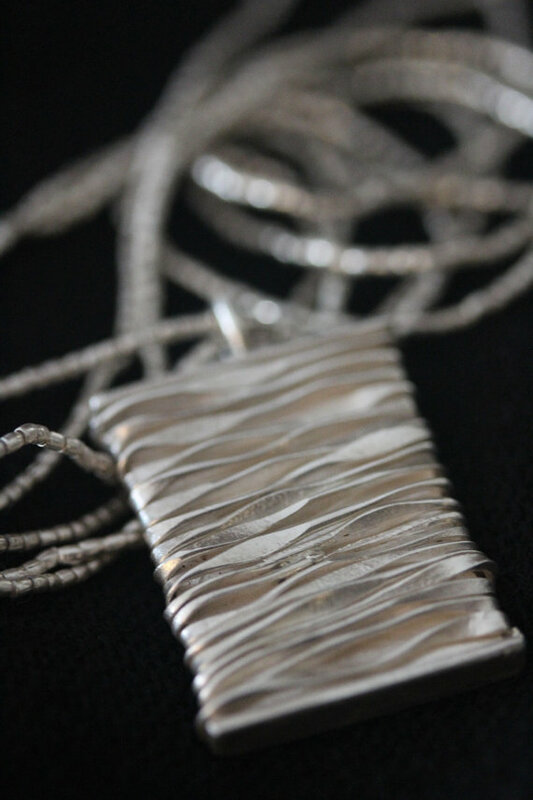 Higher silver content contributes to a distinct look and feel of the product, unique to Karen hill tribe silver – it has a different feel, shine and bright satin color in comparison with 92.5 sterling silver. 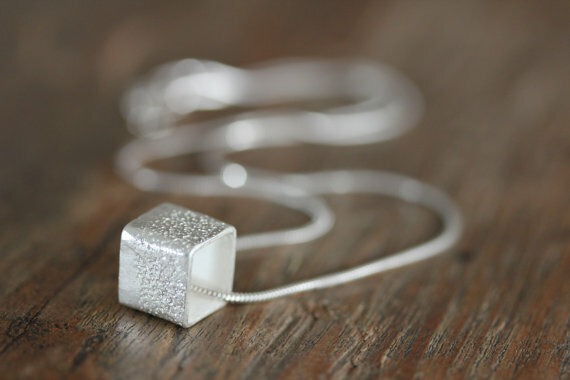 A simple and sleek 1mm silver round-profile snake chain contrast nicely with the handmade feel of the cube pendant. 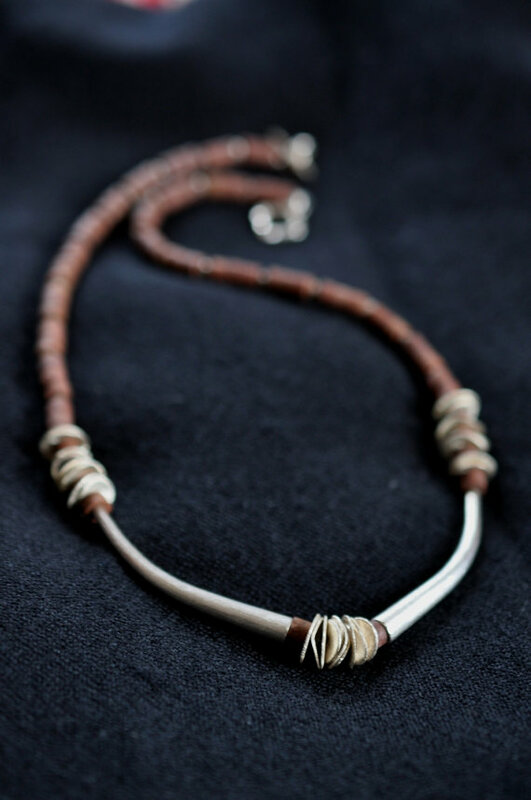 The necklace closes with a simple silver hook. 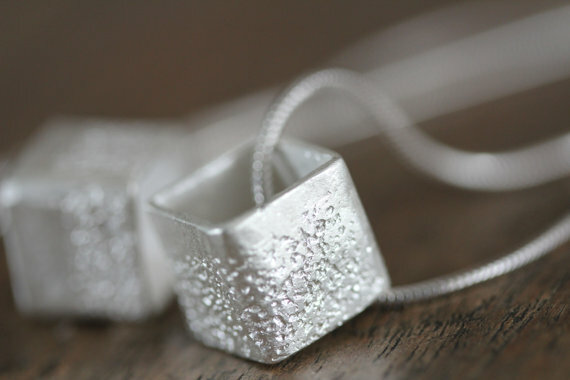 2 Simple Ways to Pack Necklaces?